The ongoing debacles at Elland Road continued this week as it emerged that owner Massimo Cellino had failed the mandatory Owners’ and Directors’ Test, and will subsequently be told to vacate his spot among the Leeds directors. The Football League originally tried to block his first attempt to takeover in April 2014 but the move went ahead following Cellino’s appeal. Now, it appears he will have to take a step back until March 2015 at least. The League’s board of directors arranged a meeting following the surfacing of tax evasion claims in Cellino’s native Italy. Having consulted the judge’s report the board were unanimous in their decision that Cellino be disqualified from carrying on in his current club role. What will now ensue is a tricky situation wherein he must immediately resign but has a fortnight to appeal. If the findings are upheld, which they very well could be, then he must steer clear of the club until March 18th 2015 at the earliest. Confusingly, he would then be eligible to reclaim his position, meaning that even if the ban is upheld it is effectively a three month hiatus as opposed to a long-term exclusion. The charges come due to Cellino failing to pay adequate taxes on his yacht in Italy. This prompted the League to convene and their decision was clear to all. In a statement, the Football league said: “At its meeting last week, the board considered the reasoned judgment of the Italian court against Mr Cellino, having successfully applied to the Italian courts for its full disclosure. “The board considered detailed legal advice and agreed unanimously… that Mr Cellino is subject to a disqualifying condition under the terms of the [Owners’ and Directors’] Test. This definitive stand leaves little room for negotiation, although it is likely the passionate owner will attempt to stand his ground. It may prove fruitless, but Cellino is not afraid of speaking out if he feels something is awry, even at the risk of being mocked. His tenure at Leeds to date is a testament to this. The zany Italian has frequently hit the headlines for all the wrong reasons, implementing unconscionable ideologies that have left fans and staff alike bemused. In an effort to save money earlier in the season, Cellino took the dramatic move of closing the club’s training ground and moving proceedings to Elland Road until the start of the season. For a Championship club that was top tier less than a decade ago this is an extremely counter-productive move that gives off an alarmingly bad impression to potential investors, players and competitors. Tampering with tried and tested traditions is nothing new to Cellino, though. In a move that was guaranteed to upset the players he remarkably told them that they would be required to bring their own lunches to work. This is particularly unbelievable in the modern age where diet has become such an important aspect of sport at the highest level, not to mention the huge dent in morale and bitter taste it would leave. As if that wasn’t enough, Cellino publically took it upon himself to dictate where players can and can’t live. Stating previous lateness as a valid reason for relocation, the fiery owner claimed that every player would have to live in Leeds. “Next season I do not want one single player who lives outside of Leeds, no way. That is mandatory” said the eccentric President of Leeds United. “Last year there were players who were coming late to games. This came on the back of Cellino cutting short the players’ summer holidays in order to have face-to-face talks before the beginning of the season. Whilst many criticise the lavish lifestyles of footballers given what some perceive to be an easy job, it is widely accepted that a summer break is a necessity to ensure an effective season as evidenced by players like Liverpool’s Raheem Sterling and Manchester United’s Robin van Persie already suffering from fatigue this year. This bullish decision will therefore have upset both the players and the fans, a recurring theme in Cellino’s rogue rulebook. During his time in Italy when Massimo Cellino was in charge of Cagliari he earned himself the nickname ‘The Manager Eater’ after powering through 36 managers in two decades. This is a proud tradition he has continued at Elland Road, firing both David Hockaday and Darko Milanic after just six games apiece in the power seat. Not content with just sacking those in managerial positions, Cellino took it upon himself to wave goodbye to ex-Sheffield United goalie Paddy Kenny. Having returned to the club for pre-season training in 2014 Kenny found that he had fallen out of favour with the owner and, if media rumours are to be believed, Kenny’s birthday may have something to do with it. Apparently, Cellino believes that the number 17 holds such bad luck that when he found out Kenny was born on the 17th of May he axed him. Although this hasn’t been confirmed by Kenny’s agents, the fact that Cellino had the number 17 seat at former club Cagliari removed and replaced with 16B does add some credence to the story. The League’s decision to remove Cellino from his position will be met with a fierce defence, particularly given the short-term nature of the ban and the huge repercussions. 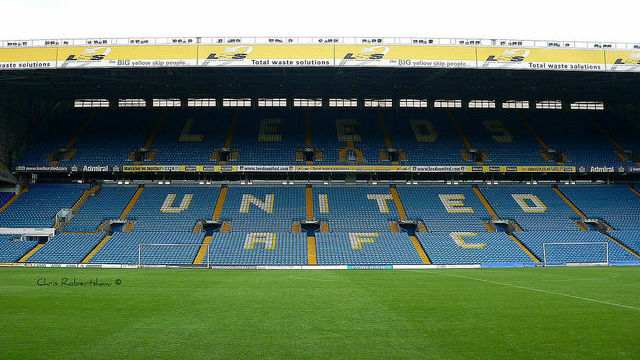 Looking at the overall picture, many fans will be in agreement that whilst it may rock the boat in the immediate future the removal of Cellino will put an end to the circus show that has become Leeds United, and eventually lead to long-term stability.